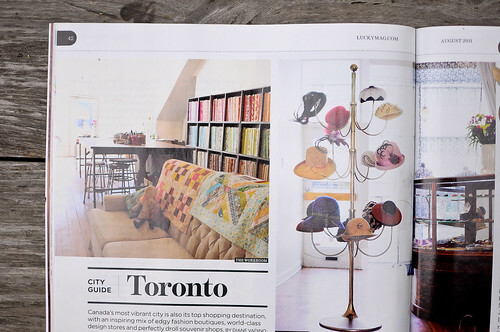 I’m so super proud to be included in the Toronto City Guide in the August issue of Lucky Magazine. 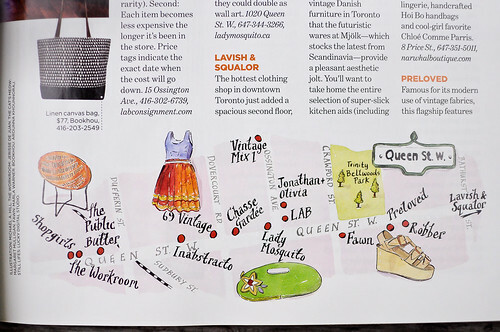 Since Lucky started I’ve always loved their city guide feature, so it’s kind of a dream come true to be in one! I also think that the editor who has the job of traveling around and putting them together has one of the best gigs around. 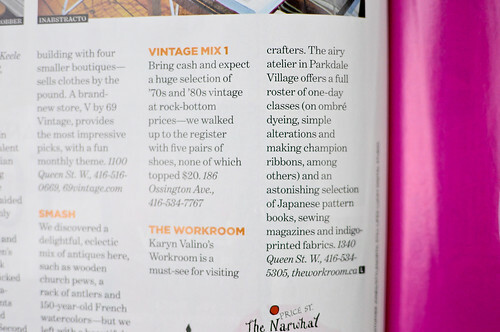 We are in brilliant company in the feature, listed among our favourite places (& people!) 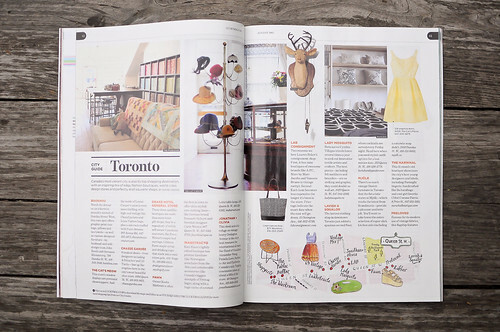 including Bookhou, Fawn, Mjölk, Robber, Russet & Empire, Shopgirls and Smash. p.s. Two things I’m currently obsessing over : this pie plate & this half square triangle dress. I want both! I love that pie plate too! I will resist though, so I hope you get it! Congrats on the feature. It looks amazing. Congratulations Karyn! This is awesome! So exciting! I miss the shop and can’t wait to visit soon! The spread looks great. Congratulations. 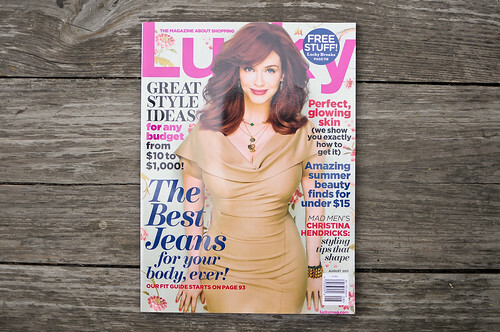 Congrats Karyn – beautiful coverage. Its nice for me to see a shot of your shop. Can’t wait to make it up there some day in person. ohh thats so exciting!! i’ll have to pick up a copy and check it out!